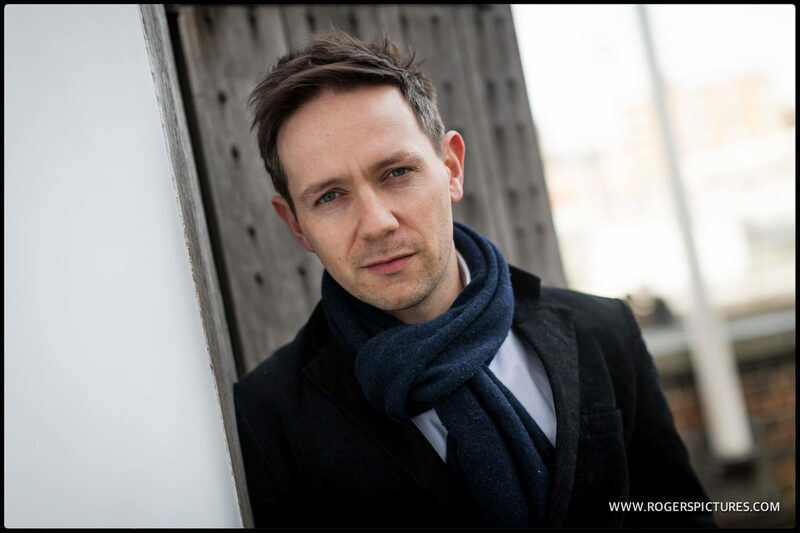 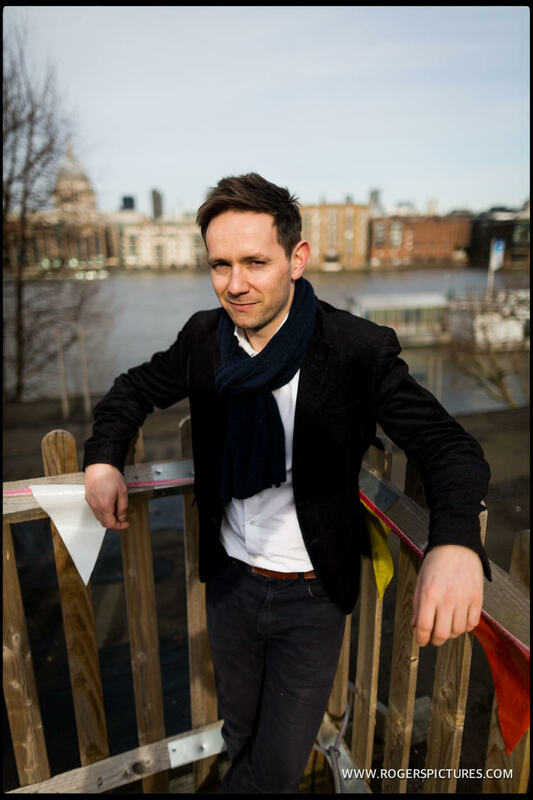 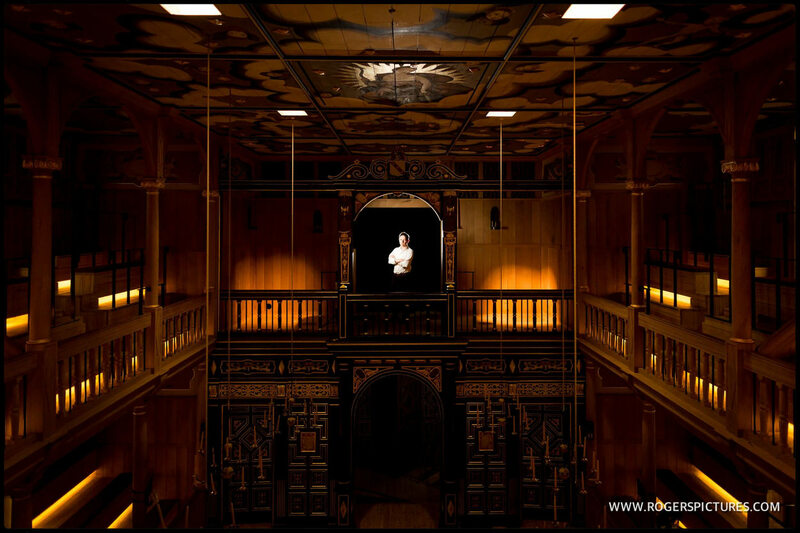 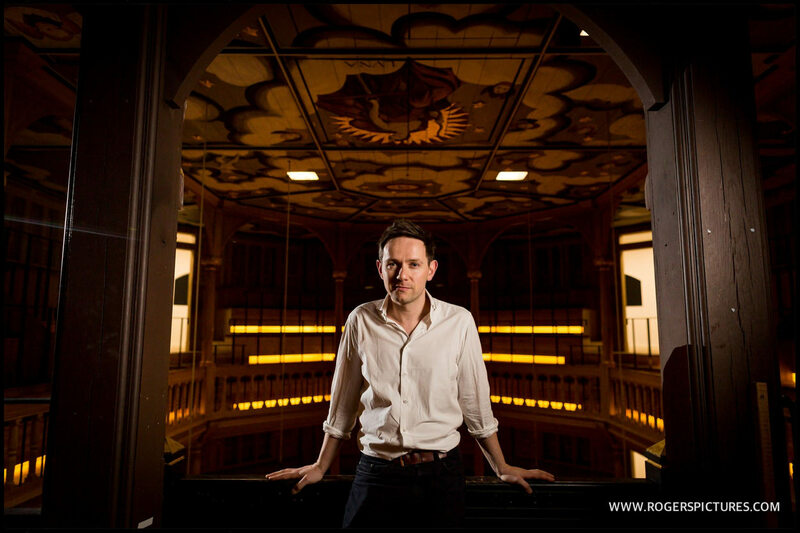 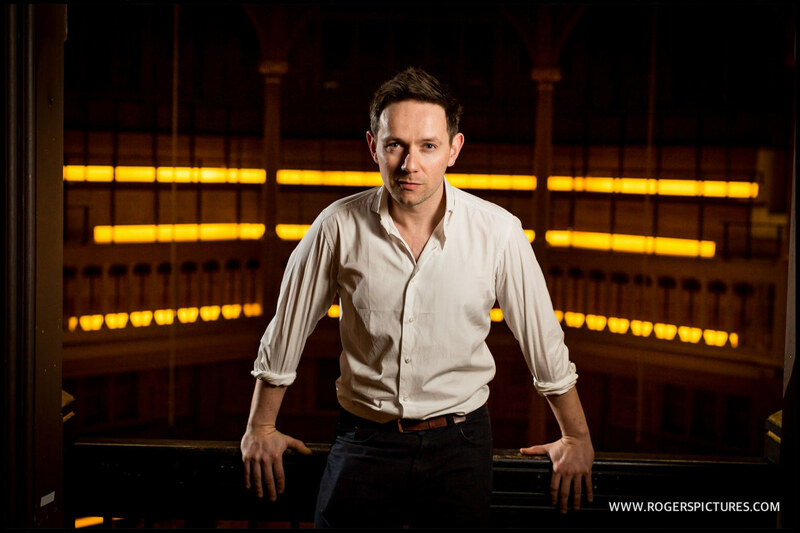 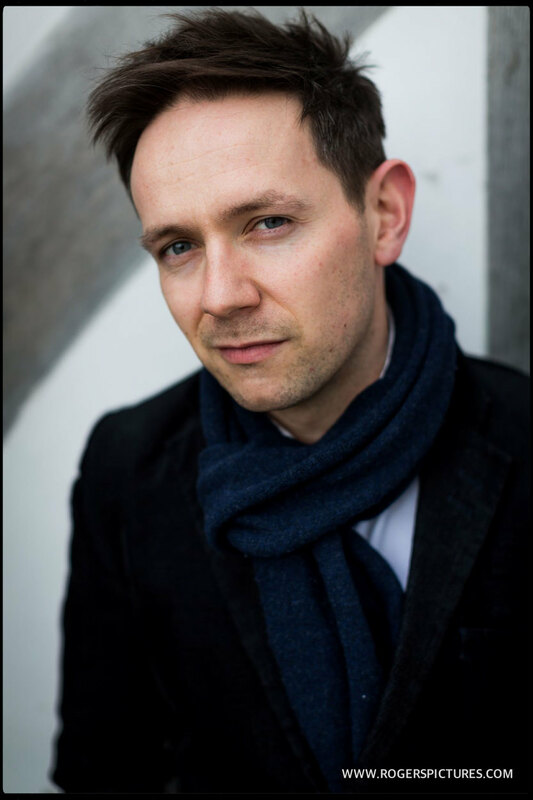 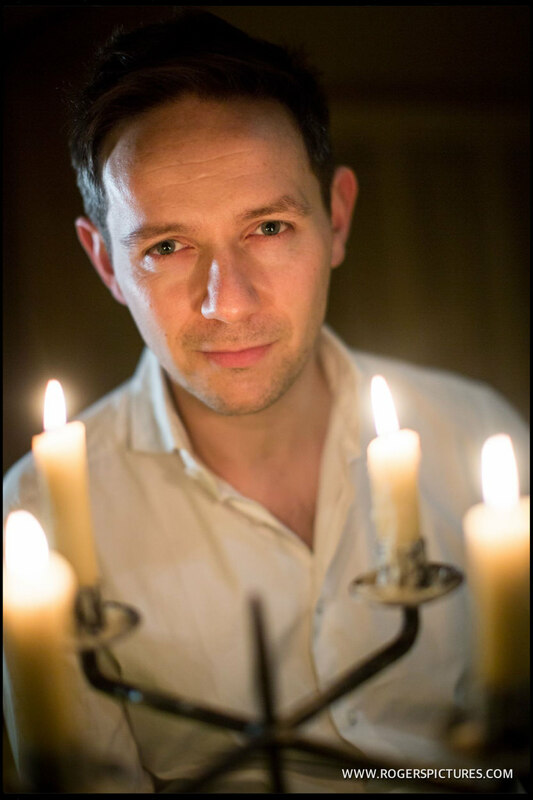 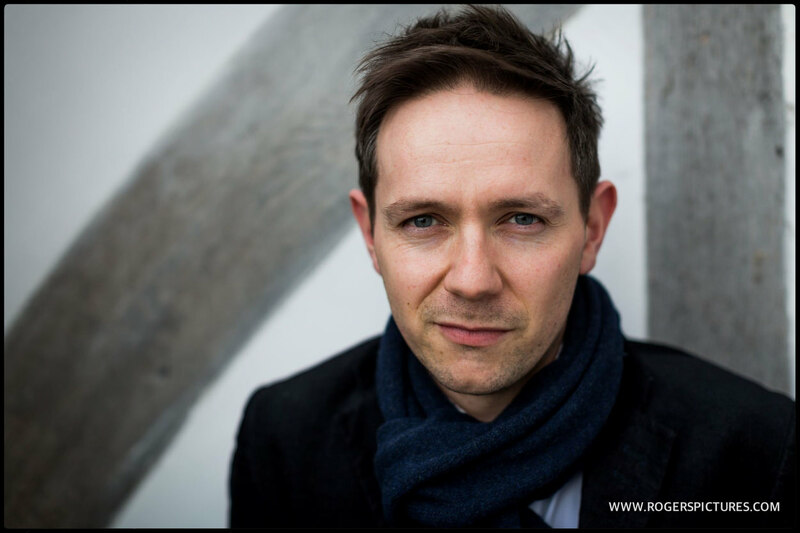 This set of countertenor Iestyn Davies Portrait was shot for The Times at the Sam Wannamaker playhouse at Shakespeare’s Globe. 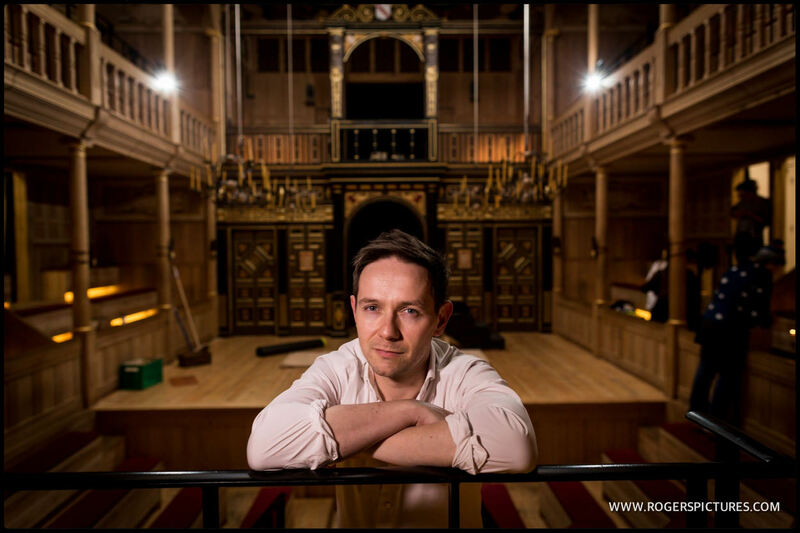 I needed to get a variety of portraits of Iestyn in a short amount of time, some clean with minimal background elements and some wider, environmental portraits showing the amazing playhouse. 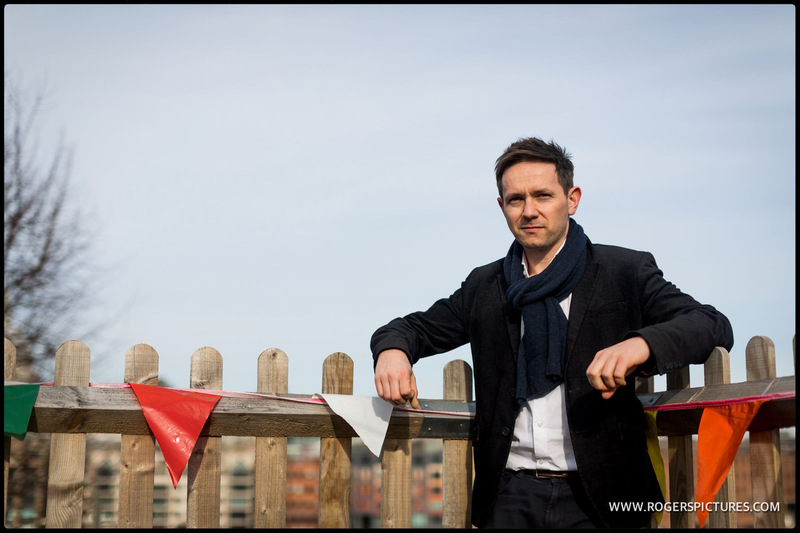 Having had a quick look around the venue before Iestyn arrived, I decided to start on a balcony above the stage. 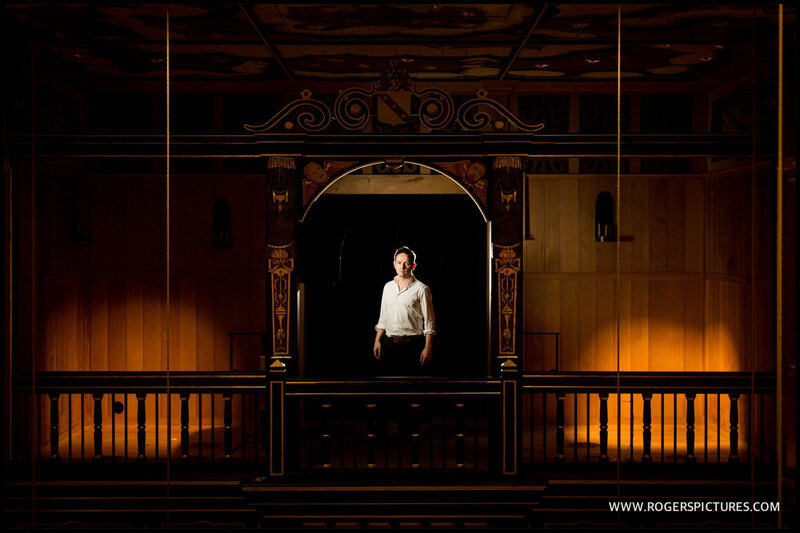 It’s a mid-sized theatre, so a wide composition across the space would work, providing I could isolate him from the background a little. 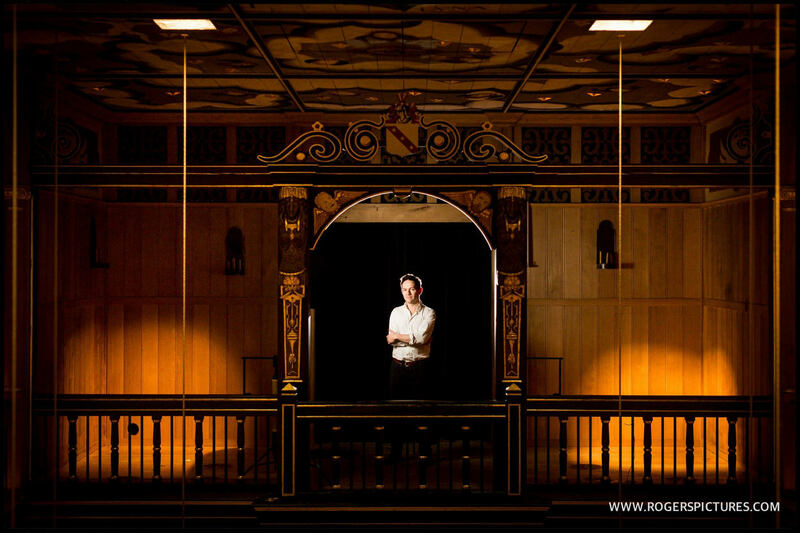 Luckily the balcony is backed with a black velvet curtain, and there was enough space to set up a softbox and a couple of bare lights. 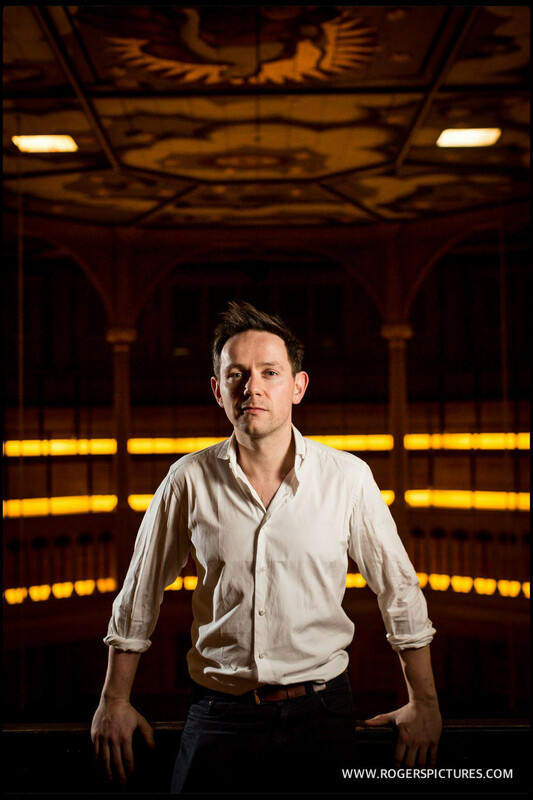 Having positioned Iestyn with the softbox hidden behind a pillar, I shot a wide frame from the opposite end of the theatre. 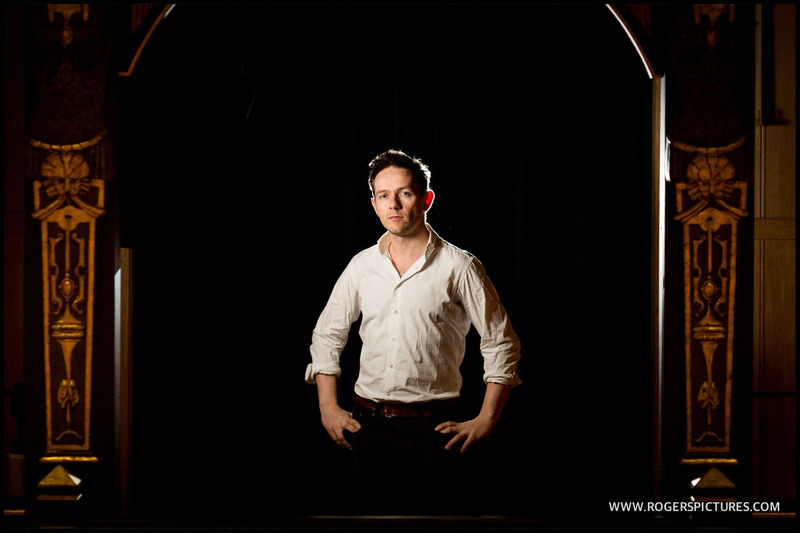 The black background and backlighting works well here providing good separation in a pretty busy shot. 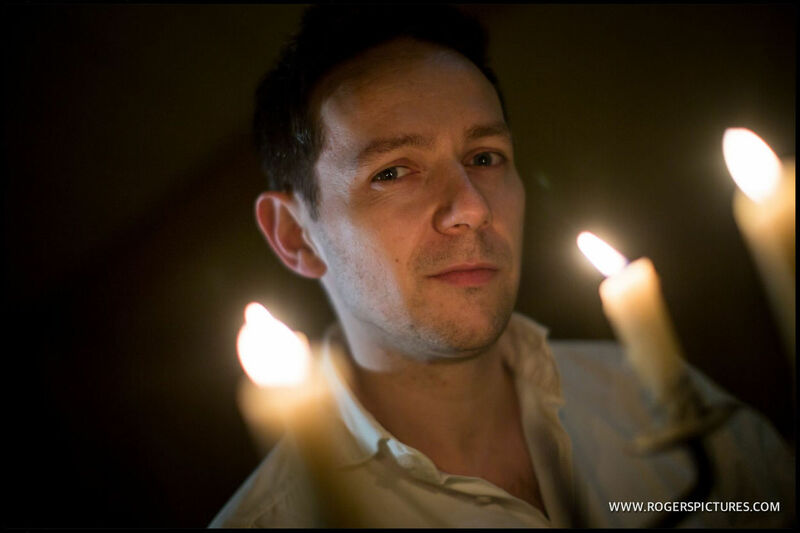 Changing lenses I got a couple of different pictures including a fairly tight portrait on the 135mm lens – allowing me to deliver a variety of shots to the picture desk from a single set up.